Don’t miss your opportunity to get the roses you really want: pre-purchase your roses today as many varieties sell out quickly. We only sell pre-finished roses in 3-gallon containers ready to be planted in your garden. Purchase your roses today and save. Have questions? Need advice? Call or email us. We will notify you by email in late March as to when your roses will be ready for you to pick up. They are usually well rooted and ready to go the first week of April. Be the first to enjoy the latest introductions. 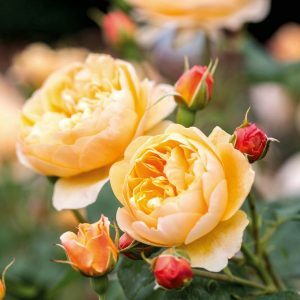 These roses out performed dozens of other roses that growers are testing for years before deciding they are worthy to grow in your own garden. Quantities are limited, act quickly. Now in its 5th generation, the Kordes family have been passionately propagating uniquely beautiful roses for 130 years. Located in Germany, its founder, then 22 year old Wilhelm Kordes could never have imagined his company’s longevity and success. Wilhelm collected roses from around the world for propagation, hoping to produce beautiful new rose varieties for others to appreciate. 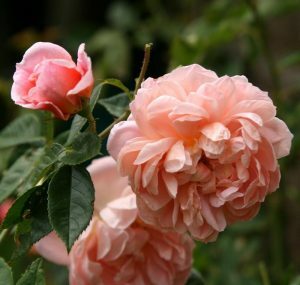 He quickly became the leading rose developer of his time, and their reputation for beautiful, naturally healthy and disease resistant roses remains strong to this day. Rose gardening should go beyond visual beauty, and these roses offer wonderful fragrances. The sense of smell is our most powerful sense when it comes to triggering memories. Hybrid Teas and Grandi floras have that classic rose form with heavy petal count 30-50. Flowers are single or in clusters atop long stems. Many varieties are fragrant and make great cut flowers. These roses require more care than most other varieties of roses. Flowers are usually produced in 6-7 week cycles. Profuse blooming roses with large clusters of blooms at any given time providing massive colorful, long-lasting displays in the garden. Easier to care for than Hybrid Teas. Established in the ’60s, this English company is family-owned and is celebrated worldwide for their roses. With over 200 introductions, they demand performance from their roses. All have wonderful fragrances and are generally considered large growing shrubs or short climbers. Every rose garden should include at least one David Austin rose. Long arching canes that can climb or entwine fences, trellises, arbors or trail over walls. Blooms come in many forms and sizes. Generally, they have a sprawling bushy habit, are easy to grow, and bear flowers all summer long. Considered a landscape rose, they can be incorporated into most any garden or setting. Tree roses are grafted to a standard trunk usually 18-36” tall. Great as focal points, in containers, or to bring a layered look to a flower garden.